READ All Souls FREE online full book. Beacon Press books are published under the auspices of the Unitarian Universalist Association of Congregations. Some names have been changed to disguise or protect some identities. 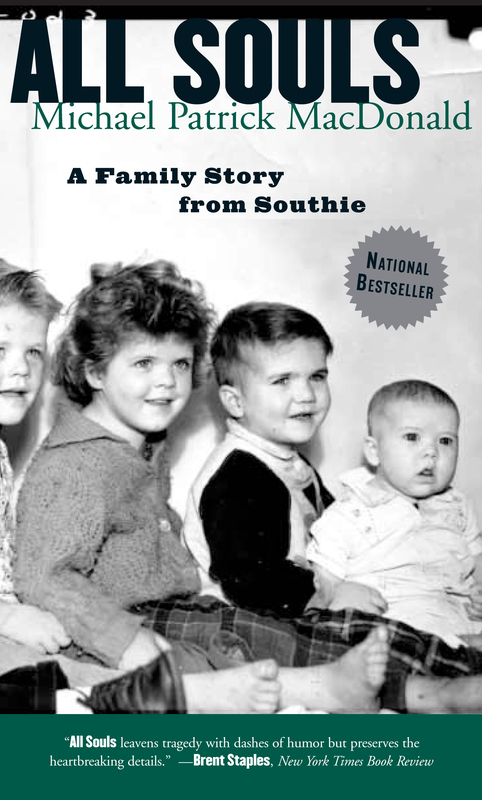 All souls: a family story from Southie / Michael Patrick MacDonald. 1.Â Â MacDonald, Michael PatrickâChildhood and youth. 2.Â Â Irish AmericansâMassachusettsâBoston Biography. 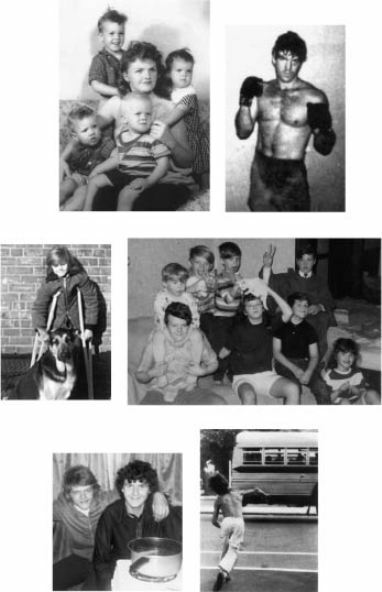 3.Â Â MacDonald family. 4.Â Â Irish American familiesâMassachusettsâBoston Biography. 5.Â Â South Boston (Boston, Mass.) Biography.6.Â Â Boston (Mass.) Biography. 7.Â Â South Boston (Boston, Mass. )âSocial life and customs. 8.Â Â South Boston (Boston, Mass. )âSocial conditions. I. Title. world,” as Ma used to say before the kids died. That's what we call them now, “the kids.” Even when we want to say their names, we sometimes get confused about who's dead and who's alive in my family. After so many deaths, Ma just started to call my four brothers “the kids” when we talked about going to see them at the cemetery. But I don't go anymore. They're not at the cemetery; I never could find them there. When I accepted the fact that I couldn't feel them at the graves, I figured it must be because they were in heaven, or the spirit world, or whatever you want to call it. The only things I kept from the funerals were the mass cards that said, “Do not stand at my grave and weep, I am not there, I do not sleep. I am the stars that shine through the night,” and so on. I figured that was the best way to look at it. There are seven of us kids still alive, and sometimes I'm not even sure if that's true. I came back to Southie in the summer of 1994, after everyone in my family had either died or moved to the mountains of Colorado. I'd moved to downtown Boston after Ma left in 1990, and was pulled one night to wander through Southie. I walked from Columbia Point Project, where I was born, to the Old Colony Project where I grew up, in the “Lower End,” as we called it. On that August night, after four years of staying away, I walked the streets of my old neighborhood, and finally found the kids. In my memory of that night I can see them clear as day. , I thought, and it was an ecstatic feeling. I cried, and felt alive again myself. I passed by the outskirts of Old Colony, and it all came back to meâthe kids were joined in my mind by so many others I'd last seen in caskets at Jackie O'Brien's Funeral Parlor. They were all here now, all of my neighbors and friends who had died young from violence, drugs, and from the other deadly things we'd been taught didn't happen in Southie. We thought we were in the best place in the world in this neighborhood, in the all-Irish housing projects where everyone claimed to be Irish even if his name was Spinnoli. We were proud to be from here, as proud as we were to be Irish. We didn't want to own the problems that took the lives of my brothers and of so many others like them: poverty, crime, drugsâthose were black things that happened in the ghettos of Roxbury. Southie was Boston's proud Irish neighborhood. On this night in Southie, the kids were all here once againâI could feel them. The only problem was no one else in the neighborhood could. My old neighbors were going on with their nightly businessâwheeling and dealing on the corners, drinking on the stoops, yelling up to windows, looking for a way to get by, or something to fight for. Just like the old days in this small world within a world. It was like a family reunion to me. That's what we considered each other in Southieâfamily. There was always this feeling that we were protected, as if the whole neighborhood was watching our backs for threats, watching for all the enemies we could never really define. No “outsiders” could mess with us. So we had no reason to leave, and nothing ever to leave for. It was a good feeling to be back in Southie that night, surrounded by my family and neighbors; and I remember hating having to cross over the Broadway Bridge again, having to leave the peninsula neighborhood and go back to my apartment in downtown Boston. who was working on an article about what they were calling “the white underclass.” The reporter had found through demographic studies that Southie showed three census tracts with the highest concentration of poor whites in America. The part of Southie he was referring to was the Lower End, my own neighborhood at the bottom of the steep hills of City Point, which was the more middle-class section with nicer views of the harbor. The magazine's findings were based on rates of joblessness and single-parent female-headed households. Nearly three-fourths of the families in the Lower End had no fathers. Eighty-five percent of Old Colony collected welfare. The reporter wasn't telling me anything newâI was just stunned that someone was taking notice. No one had ever seemed to believe me or to care when I told them about the amount of poverty and social problems where I grew up. Liberals were usually the ones working on social problems, and they never seemed to be able to fit urban poor whites into their world view, which tended to see blacks as the persistent dependent and their own white selves as provider. Whatever race guilt they were holding onto, Southie's poor couldn't do a thing for their consciences. After our violent response to court-ordered busing in the 1970s, Southie was labeled as the white racist oppressor. I saw how that label worked to take the blame away from those able to leave the city and drive back to all-white suburban towns at the end of the day. Outsiders were also used to the image, put out by our own politicians, that we were a working-class and middle-class community with the lowest rates of social problems anywhere, and that we wanted to keep it that way by not letting blacks in with all their problems. Growing up, I felt alone in thinking this attitude was an injustice to all the Southie people I knew who'd been murdered. Then there were all the suicides that no one wanted to talk about. And all the bank robberies and truck hijackings, and the number of addicts walking down Broadway, and the people limping around or in wheelchairs, victims of violence. was used to calling it, above pictures of church bazaars, bake sales, christenings, and weddings. I agreed to take the reporter on a tour through Southie. We stayed in the car, because I was too nervous to walk around with an “outsider” in a suit. It was bad enough that I was driving his rented sports car. People in Southie usually drove big Chevys, or when they were in with “the boys,” as we called our revered gangsters, they'd upgrade to an even bigger Caddy or Lincoln Continental. I wore sunglasses and a scally cap, the traditional local cap once favored by hard-working Irish immigrants and longshoremen, and more recently made popular by tough guys and wannabes. I disguised myself so I wouldn't be identified collaborating with an outsider. Everyone knew I was an activist working to reduce violence and crime. But when they saw me on the news, I was usually organizing things over in Roxbury or Dorchester, the black places that my neighbors thanked God they didn't live in. “That stuff would never happen in Southie,” a mother in Old Colony once told me. Her own son had been run over by gangsters for selling cocaine on their turf without paying up. Talking to this stranger, driving through the streets of Southie, and saying these things confused me. I thought about how much I'd hated this place when I'd learned that everything I'd just heard myself say about Southie loyalty and pride was a big myth, one that fit well into the schemes of career politicians and their gangster relatives. I thought about how I'd felt betrayed when my brothers ended up among all the other ghosts in our town who were looked up to when they were alive, and shrugged off when they were dead, as punks only asking for trouble. I didn't know now if I loved or hated this place. All those beautiful dreams and nightmares of my life were competing in the narrow littered streets of Old Colony Project. Over there, on my old front stoop at 8 Patterson Way, were the eccentric mothers, throwing their arms around and telling wild stories. Standing on the corners were the natural-born comedians making everyone laugh. Then there were the teenagers wearing their flashy clothes, “pimp” gear, as we called it. And little kids running in packs, having the time of their lives in a world that was all theirs. But I also saw the junkies, the depressed and lonely mothers of people who'd died, the wounded, the drug dealers, and a known murderer accepted by everyone as warmly as they accepted anything else in the familiar landscape. “I'm thinking of moving back,” I told the reporter. poverty, drugs, guns, crime, race, class, corruption. with a picture of me, poster boy for the white underclass, leading the article, and demographic evidence telling just a few of Southie's dirty little secrets. South Boston's Lower End was called the white underclass capital of America, with a report showing all the obvious social problems that usually attend concentrated poverty in urban areas. The two daily papers in Boston wrote stories about the article's findings, with their own interviews of housing project residents, politicians, and a local priest, mostly refuting the findings. A group of women sitting on a stoop in the housing development laughed at the article. “We're not poor,” one said. “We shop at Filene's and Jordan Marsh.” I remembered how I spent my teenage years, on welfare, making sure that I too had the best clothes from those department stores, whether stolen or bought with an entire check from the summer jobs program. I thought I looked rich, until I saw that all the rich kids in the suburbs were wearing tattered rags. columnist who'd grown up in one of the census tracts wrote that he was better off not knowing he was poor. But he grew up long before the gangsters started opening up shop in liquor stores on the edge of the housing projects, marketing a lucrative cocaine trade to the children of single women with few extended family support structures or men around.